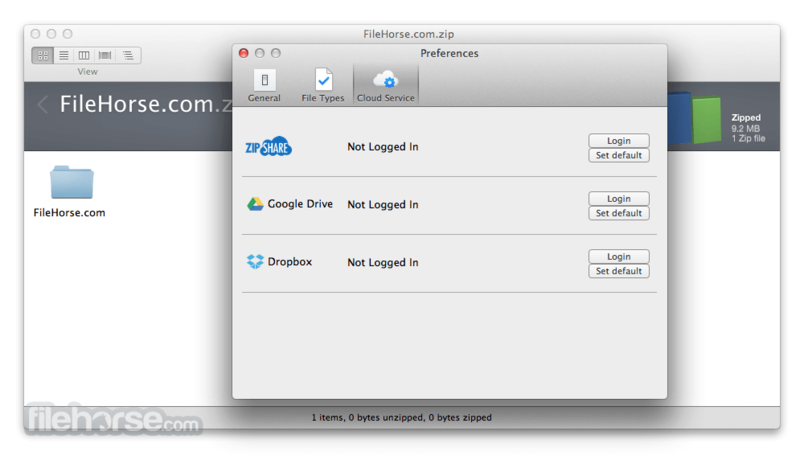 Manage, protect and share your files in an all-new modern interface with WinZip for Mac Edition. With rich new file management features--including browsing, copying, moving, renaming and deleting--and trusted compression, encryption and sharing, WinZip offers a whole new way to work with your files. Quickly browse local, network and cloud files. 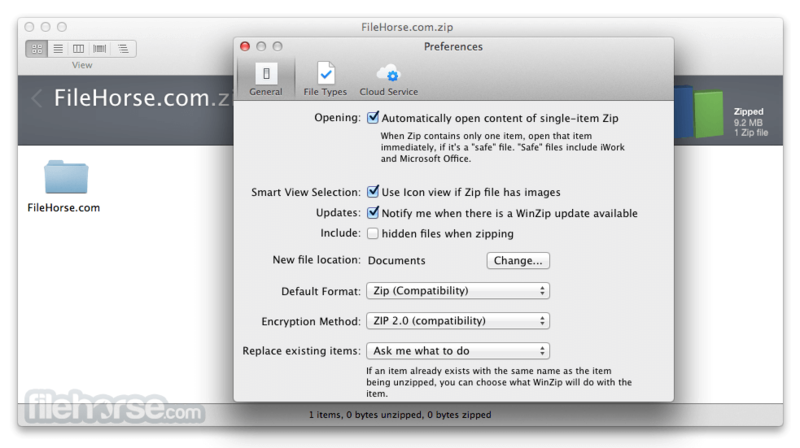 Download, Install or Update WinZip for Mac! 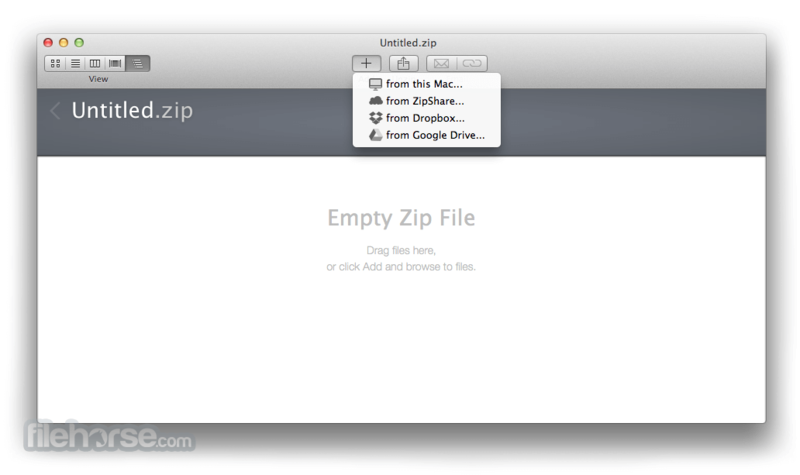 Drag and drop to add files to your zip. Easily choose options for encryption, PDF conversion, watermarking. Then save or share via cloud services, email, instant messaging and social media. New touch screen support puts the power of WinZip at your fingertips on almost any screen or device. 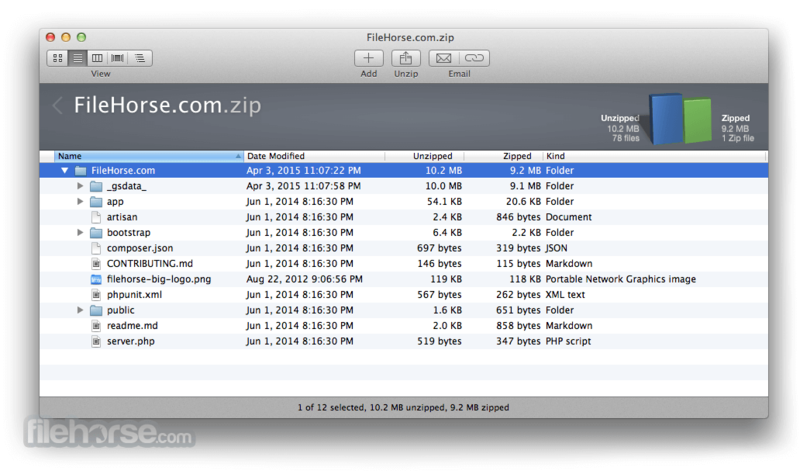 It's everything you want to do with your files - and it is all in WinZip for Mac. Share large files directly by email, cloud services, social media and instant messaging services, manage your online files more easily and quickly share links to your cloud files. 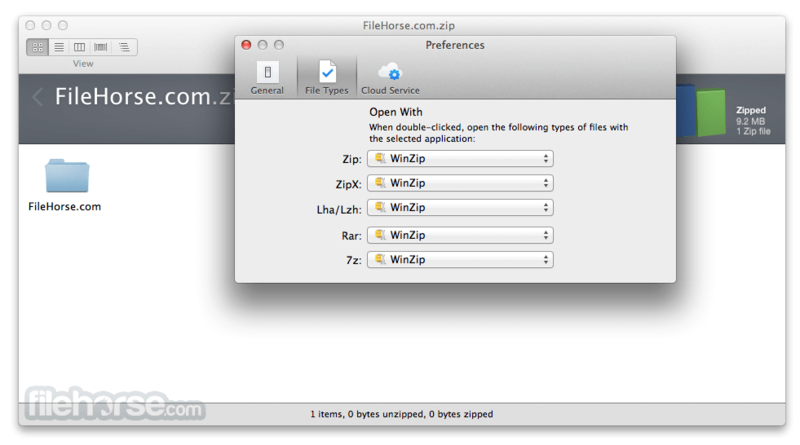 Download, Install or Update WinZip for Mac! Note: 45 days trial version. Requires 64-bit processor.